First, a simple typical analytics/automation maturation staircase will be presented (one slide). Then seven examples of Shell’s realtime analytics/automation projects (BOP Testing, Kick Detection, Modeling and Optimization of Drilling Parameters, Real-time Casing Wear Prediction, Under-Reamer Health Monitoring, Bit Wear Monitoring, and Drilling Automation (SCADAdrill)) will be discussed, followed by conclusions and observations. Mark W. Anderson – General Manager Drilling Mechanics Technologies, Shell International Exploration and Production, Inc.
Mark started working in 1981 for Shell in New Orleans and for most of his career he has been involved in the Well Engineering and Well Delivery Operations disciplines with increasing levels of responsibility both technically and managerially. He had expat assignments in 6 countries (Brazil, Portugal, Syria, Scotland, Gabon, The Netherlands) totaling 20 years, and now works in Houston. Currently he leads a globally dispersed team charged with drilling technology deployment, replication and services. Door prize provided by LEG Exploration, "Pioneering Offshore—the Early Years" by F. Jay Schempf. $25 pre-pay or pay at door with or without registration, pre-registration by Friday, September 21 noon is encouraged so we can provide the Petroleum Club with an accurate head count. Payment options at door include cash, check, credit card, and Petroleum Club invoice. Students register with Lillian Espinoza-Gala lillian@legexploration.com. To receive a Continuing Education Credit Certificate available for pickup at the meeting, please email Continuing Education Credit Certificate before September 22, 2018. If you use Petroleum Club Membership to pay for the meeting please register and choose pay at door. Your Petroleum Club account will be charged $25. If you have trouble registering try disabling the pop-up blocker in your web browser. 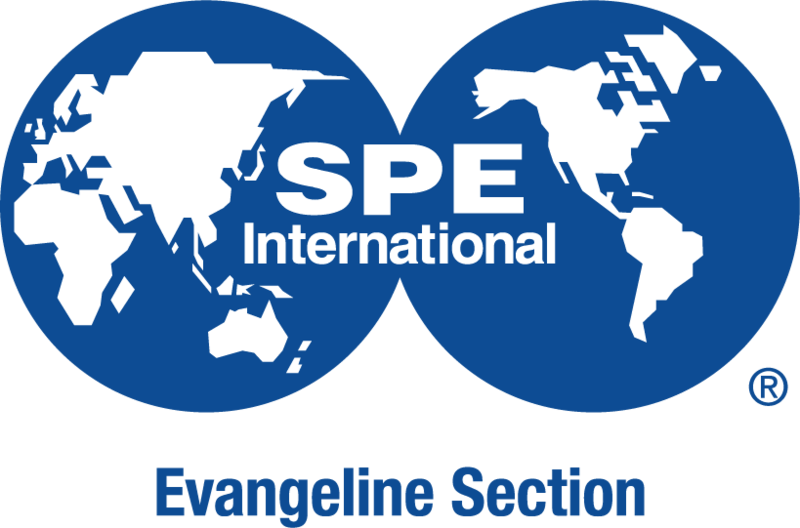 If you continue to have problems contact speevangelinesection@gmail.org.